The contorted notions of assimilation, multiculturalism, citizenship, and acculturation are an integral part of immigration process creating an apparent dichotomy inthe lives of migrants. The dichotomy is to integrate in the host land, while simultaneously striving hard to retain cultural and ethnic ties. The book in consideration is an attempt to present the dilemmas of South Asian Americans to integrate in the American culture while remaining ethnic. Rudrappa is herself an Indian American living in Chicago; therefore, an emic perspective is in the offing. The author presents an ethnographic study based on her fieldwork in two institutions namely ApnaGhar and the Indo American Center to understand and highlight immigrant race politics in the US in late 20th Century. ApnaGhar is a small shelter house specifically for Asian abuse survivor women, but is generally open to women of all races. It aims to console battered women and provide a refuge where they overcome the trauma of abuse through self-realisation process. Indian American Center, on the other hand, is a cultural shelter, providing legal assistance regarding immigration procedures for a smooth assimilation in America. Besides, it also provides training in English language and computers, free medical services etc. Author deliberates upon debates related to citizenship and multiculturalism. She asserts that in the late 20th century, the contours of ‘citizenship’ have changed due to rising state-sponsored politics of multiculturalism. This multiculturalism neither celebrates differences as it is supposed to, nor advances to the apparent ‘balkanisation of the US’, in fact it is persuading people of different cultures towards American cultural citizenship. Organisations like ApnaGhar and Indo-American Center are not operating in vacuum. They are a part of this socio-cultural-political environment. In this broader context, the author asserts that the state fundingof such organisationsmay seem to be an act of fosteringmulticulturalism and acknowledging differences; however, in reality it is a politics to guide immigrants to the culture of moral ‘American-ness’. It is further stated that these organisations vouch for a strong ethnic identity and claim to provideethnic tools of sustenance in America. However, in reality, they do not provide any alternative paradigm. While ApnaGhar counsels South Asian women to move beyond communal and ethnic ties, Indo American Center abets assimilation by emphasising that the only way of becoming good Americans is through portrayal of Indians as good non-White immigrants having a superior ethnic culture. 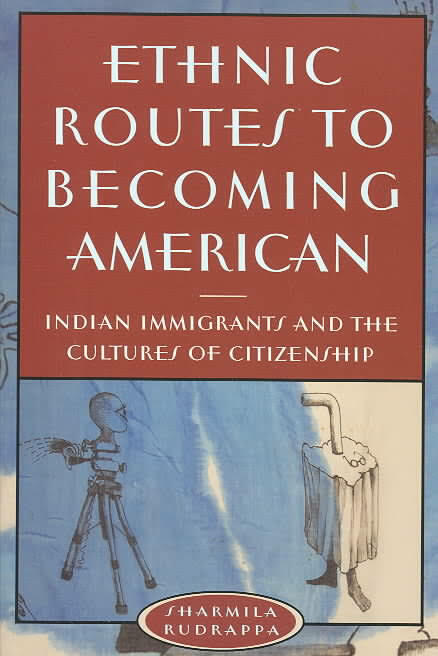 Therefore, the author states that ‘immigrants may think of their organisations as safe havens where they have sole discretion on how to deploy their differences in accordance with their sending nation’s “traditions and customs, “yet these alleged safe havens are sites for Americanisation in the late twentieth century” (p- 28). Although critical of the kind of work done in these organisations, author believes these are important for immigrants as they provide space to battered women, relieves them of the emotional and physical abuse and teaches them tactics and strategies to fight against such exploitation. However, the spaces are not what we call ‘free space’, but are swayed by race and class politics. The author starkly differentiates between what is meant to be a ‘White’ and an‘Indian’ in America. She refers to the categories as two different sets contained of some fixed values and morals, which isproblematical. First, this kind of differentiation overrules the fact that the notions of ‘whiteness’ and ‘Indian-ness’ might have some common features. They might not be self-contained fixed units having no fluidity. This assumption also ignores the fact that a person can simultaneously inhabit the values from both the categories. Second, ‘Indians’ or ‘South Asians’ are not homogenous groups and have multiple groupings. The fact that these groups are heterogeneous having obvious religious, regional, class, caste and cultural differences has been ignored. Nevertheless, author’s examination of America’s cultural citizenship and multiculturalism through micro study of ethnic institutions is crucial for understanding the prevalent immigrant race politics. The impact of twin factors of (a) America’s socio-political milieu and (b) Social work of ethnic organisations on an immigrant’s cultural and political landscape have been spelt out clearly.